Kusev Farm is a very local Kenyan venture started 9 years ago by Peter Oywaya, a passionate farmer with great respect for both animals and humans. He has the eye for beauty and happens to be very artistic. Nine years ago, three poults (baby turkeys) were brought home by his wife to add to the different species of bird they had at the farm. He had never reared a turkey in his life, but Google and advise from other turkey farmers came in very handy on how to go about it. 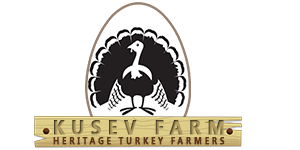 Out of the three turkeys they had at the beginning, Kusev farm currently has between 300-600 heritage turkeys. They faced numerous challenges with the biggest one being feathers gathered from the turkeys and empty egg shells. To solve this the feathers were collected, treated and stored. 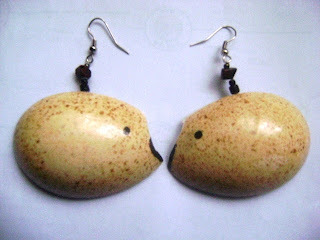 This is where the idea to make jewellery ornaments from the turkey feathers and empty egg shells was conceived. Three years ago Peter opened a workshop at the farm that made this jewellery. The jewellery is made under the label PETERO (which is Swahili for Peter). 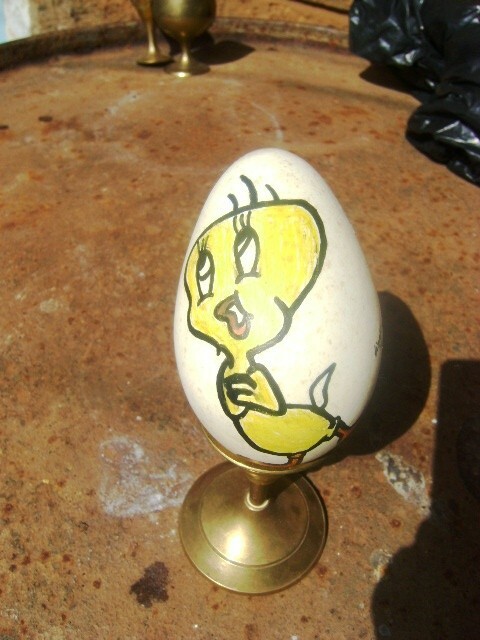 Peter is the chief designer and has trained four workers who duplicate the work. He has also engaged a qualified graduate fashion designer who has added a lot of value to the jewellery department. 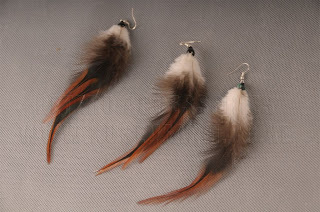 The feathers are also used to decorate finished items such as pots, vases, night stands and amulets. The farm intends to have 'feather fun' days with students during holidays and those who want to be jewelry designers. Peter also intends to expand the farm and also intends to create more jobs by increasing the staff of nine to a greater number. He would also like restaurants and hotels to introduce the consumption of heritage turkey (as opposed to the commercial genetically engineered breeds) meat and eggs. Kusev Farm, whose physical location is in Kiserian in the greater Nairobi, is a farm like no other in the country. Not only is the recycling of the mentioned waste eco-friendly, it also goes a long way in showing creativity. This is because one would not have expected the lovely jewelry and ornaments pictured to have been made at a farm.